We do have our top favourite Nelson cafe restaurants, but when there’s a new kid on the block, we’ll be the first to try it. This little neighbourhood cafe is a real sweetie. 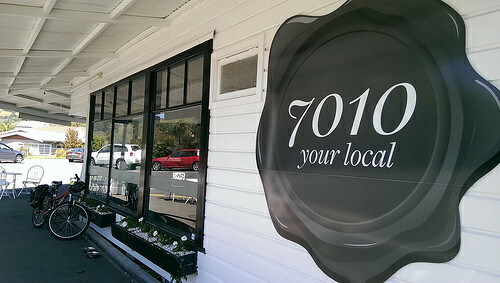 Cafe 7010 on Collingwood Street is located opposite the Mitai River, just far enough from the central hub to enjoy a relaxing breather. 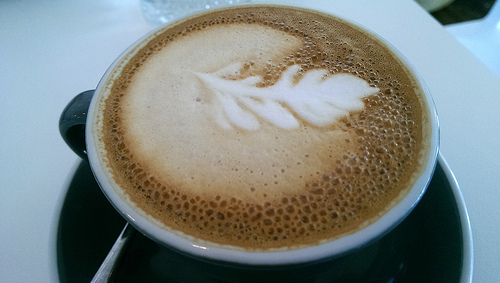 Cafe 7010 has the feel of a neighbourhood ‘local’. The cabinet cafe food is not extensive, but the owner has made some clever choices. Good coffee. 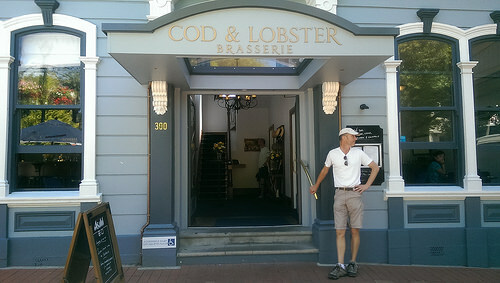 On a different level of our top Favourite Nelson cafe restaurants, is the Cod & Lobster Brassiere located at the cathedral end of Trafalgar Street. It offers a full dining experience and as the name suggests, a great fish menu. You can also get lunch plus coffee and cake during the day. Cod & Lobster Brassiere has a variety of outdoor seating perfect for the warm Nelson weather. 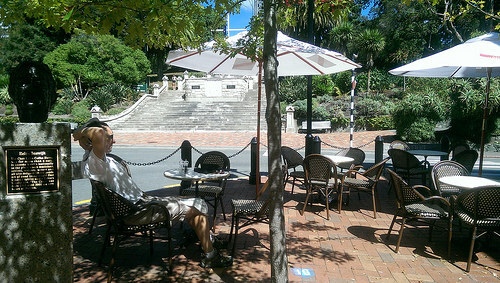 The Trafalger Street side is ideal for people-watching. We don’t often get the chance to chill out under a Nelson Sun. It’s turning out to be a very busy season, so it’s always nice to be welcomed back by staff at our top Favourite Nelson cafe restaurants, who recognise loyal customers.